Yesterday, started off a little badly for me anyway….. Adorama was supposed to send me my new Canon EOS 1D Mk IV via UPS, but only part of the order showed up. Turns out there had been a “glitch” in their shipping department but it is on track to arrive here in Cottonwood later this morning. Our first stop was Montezuma Castle. 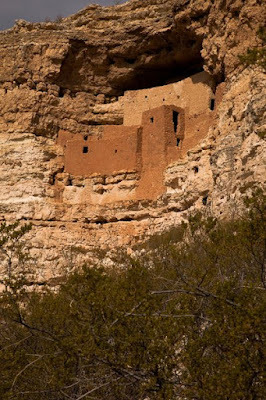 These cliff dwellings, constructed by the Sinaguan Indians are over 1000 years old. The nearby Montezuma Well was also fascinating. You can see the dwelling under the upper edge of the cliff. 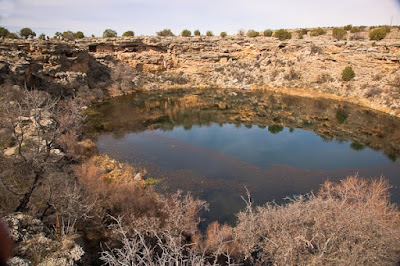 Year round water temp of the well is 76F with over 1.5 millions of gallons of water flowing from the well every day. Indians of the day even constructed a stone irrigation canal to take well water to their fields. Pretty ingenious! We decided to drive back into Sedona, again on Hwy 179 through Oak Creek, but this time in the opposite direction from our travels the other day. Thought we might see some new sights. 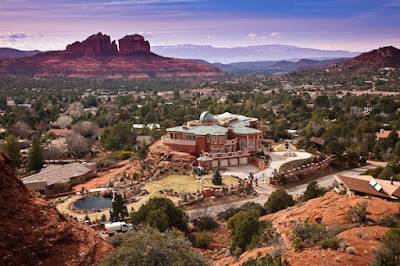 The red rock scenery was stunning as usual but so were some of the homes we saw along the way. The one seen here is on Chapel Road, just below the Chapel of the Holy Cross. Is this huge or what? Not sure who the owner is, but he must have pretty deep pockets. There was an army of grounds keepers scurrying about when we were there. Never got invited in for coffee either….shame. 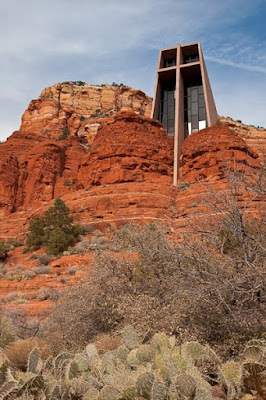 This catholic chapel is not very big inside, but the view from the top of the cliff where it sits, is spectacular. We parked at the bottom just past the mansion and walked up the twisty road to the top. Lets just say the walk down was much easier! The driveway was lined with all types of cacti. Thought this cacti shot again the red rocks turned out quite well. Chris checked out a natural food store in Sedona and then we headed back to TT Verde Valley. We bought a bird feeder for our campsite at Walmart the other day. Thought we may as well try attracting some birds for photographs instead of looking for them. 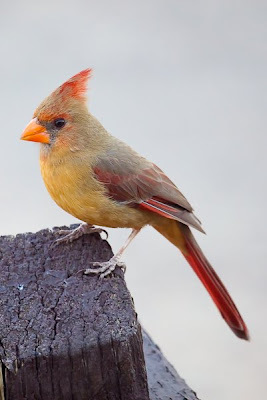 This female northern cardinal made several appearances. Time for a little pickleball and some chores around phaeton place before my new toy arrives! 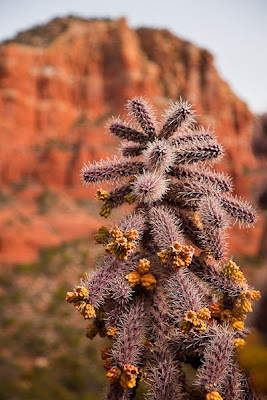 This entry was posted in Arizona, Entertainment, Photography, Wildlife.